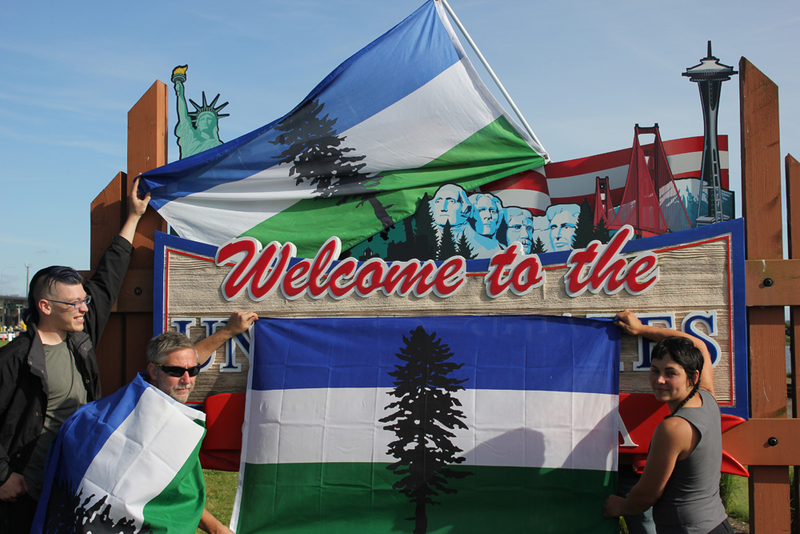 Cascadia is a social and cultural movement to preserve, protect and better the quality of life and ecosystem of the Pacific Northwest of the United States and Canada, and a bioregion as defined through the watersheds of the Columbia, Fraser and Snake rivers. Culture stems from place, and Cascadia incorporates ting British Columbia, Washington, Oregon, parts of Idaho, southern Alaska and northern California, and in many ways is geographically, culturally, economically and environmentally distinct from surrounding regions. We seek to further local autonomy, empower individuals and communities to better represent their own needs, and have the tools to allow for environmental and economic responsibility, as well as increased dynamic, transparent and open governance. Every person should be engaged with their local communities, develop local and personal resilience (community gardens, disaster preparedness, etc. ), and create alternate lines of regional communication, politics, and interdependence that better represent the social, cultural and political boundaries that define our region. Here you will find news, educational resources and tool kits about Cascadia and to help you get active about issues you care about. We hope you join us.